A sign above the bar let’s visitors know they are drinking in an establishment with a bit of history. 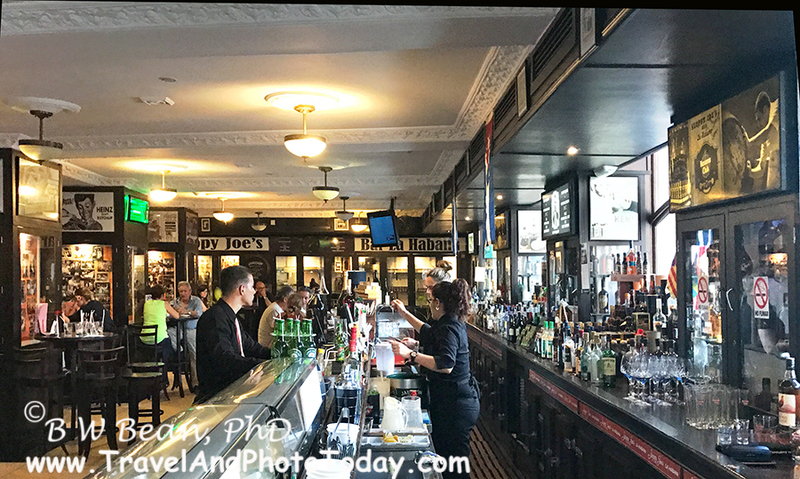 The remodeled bar has a pleasant and cozy feel. Even today most customers appeared to be foreign visitors. 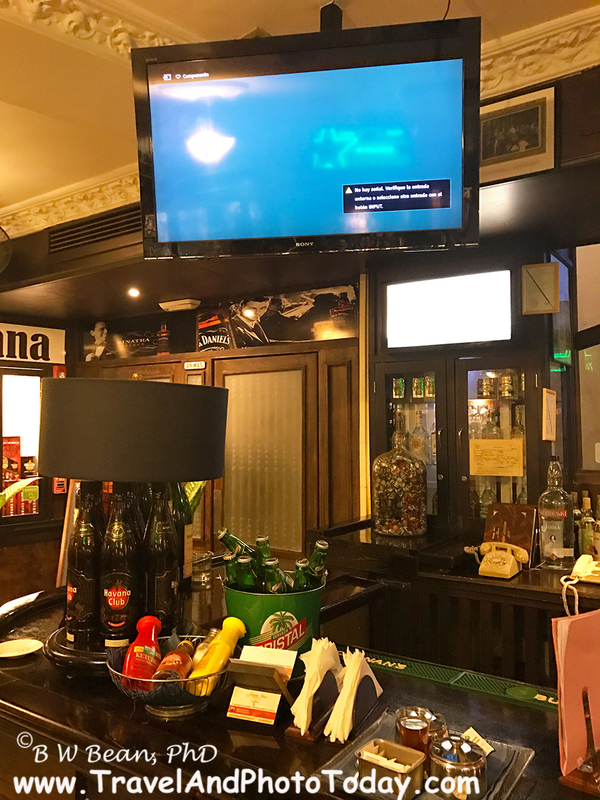 Most modern bars these days have numerous flat screen TVs showing multiple sports activities and games for the pleasure of patrons. In keeping with this trend, Sloppy Joe’s has several flat screen TVs scattered throughout the space. 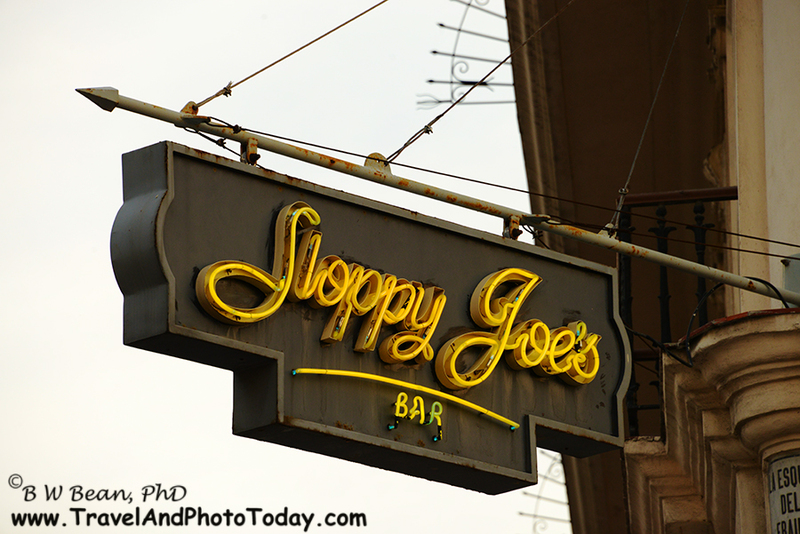 Unlike most modern bars however, the screens on Sloppy Joe’s TVs were blank – no sports, no shows of any kind. Not sure what that was about but I suspect to some degree it may reflect limited programming available in Cuba. 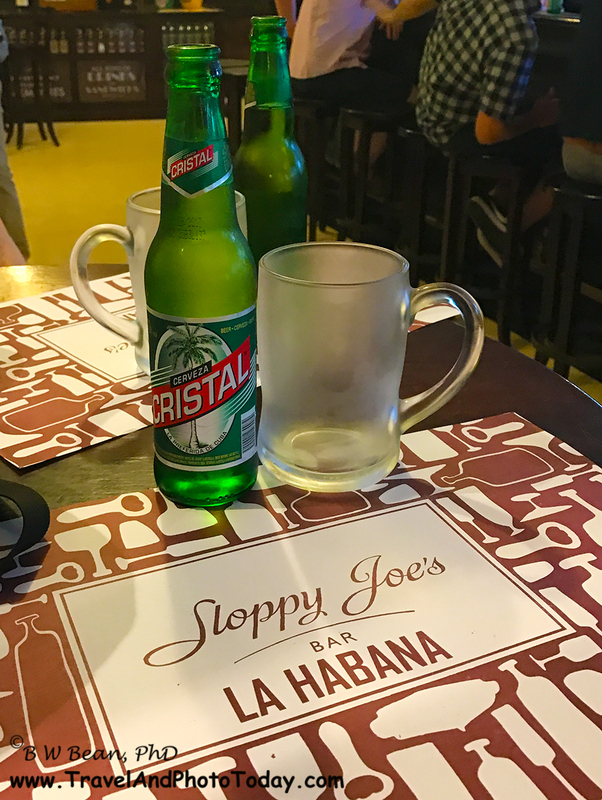 Sloppy Joe’s is a great spot for an escape from the Havana heat. Grab a table. 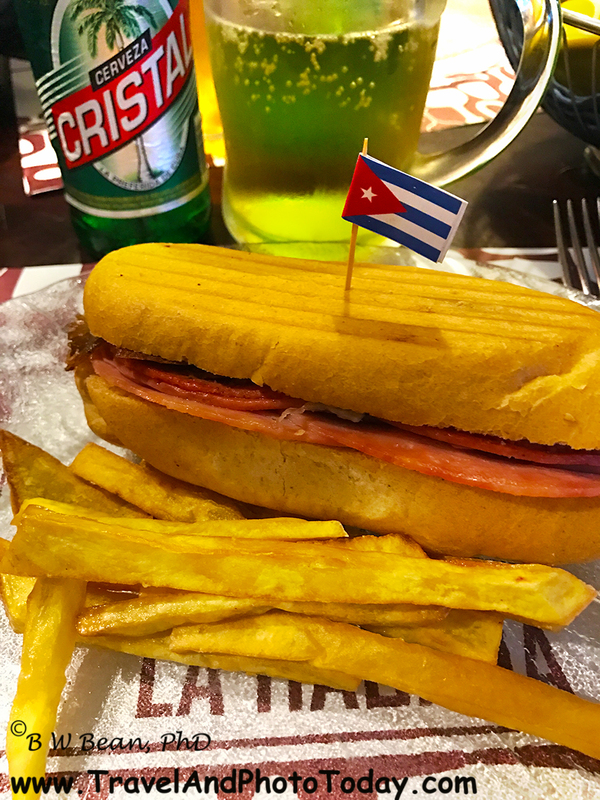 Have a cold cervaza – maybe Cuba’s own Cristal! Hungry? How about a sandwich? 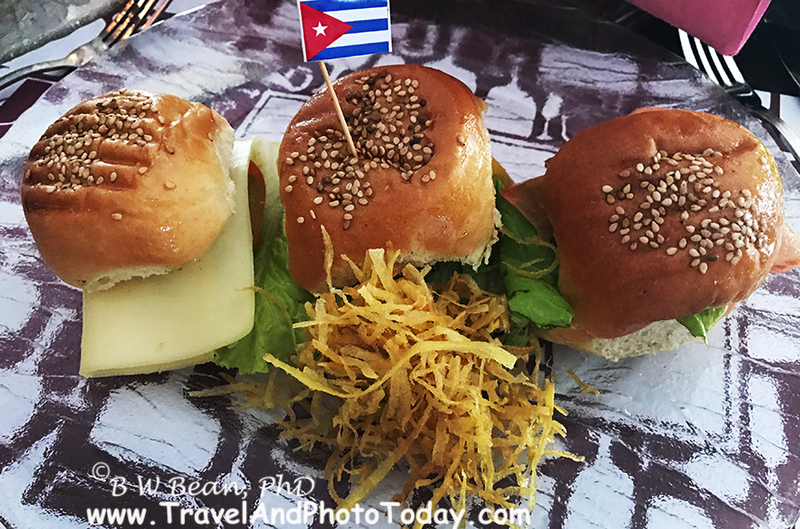 But what to have…… Well, it is Cuba. How about a Cubana? Of course!!! Delicious. And as a bonus, some of the best french fries I encountered while in Cuba. I made a second visit to Sloppy Joe’s. ( Well, I had been to La Floridita on two occasions – I had to be fair and balanced in my reporting didn’t I?) This time I selected the “mini-burgers” which were really very good. I must say, however, that I did miss the french fries! Yes, that’s me at Sloppy Joe’s. The hat? Well, it’s all part of the Cuban Look. 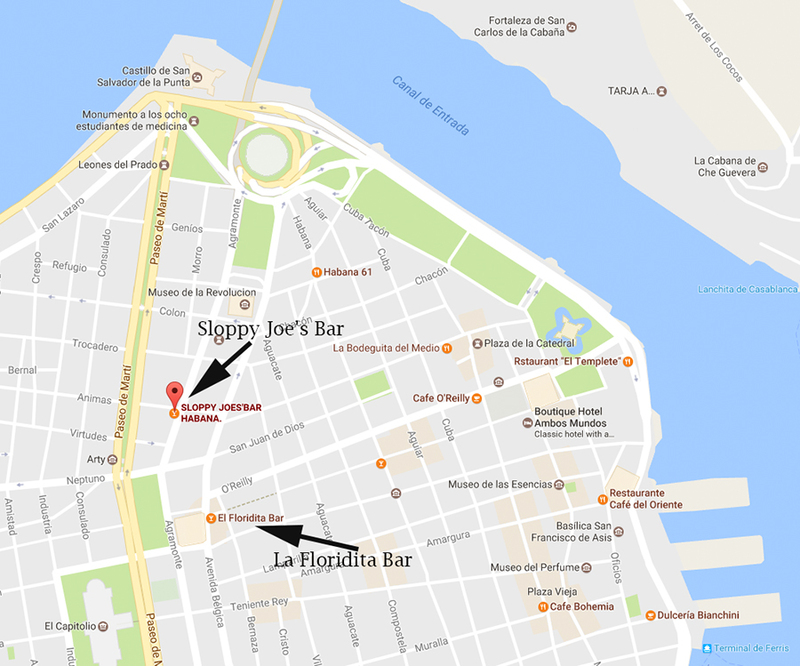 Next time you are in Havana, stop in at Sloppy Joe’s for a drink and a bite . You’ll be glad you did. 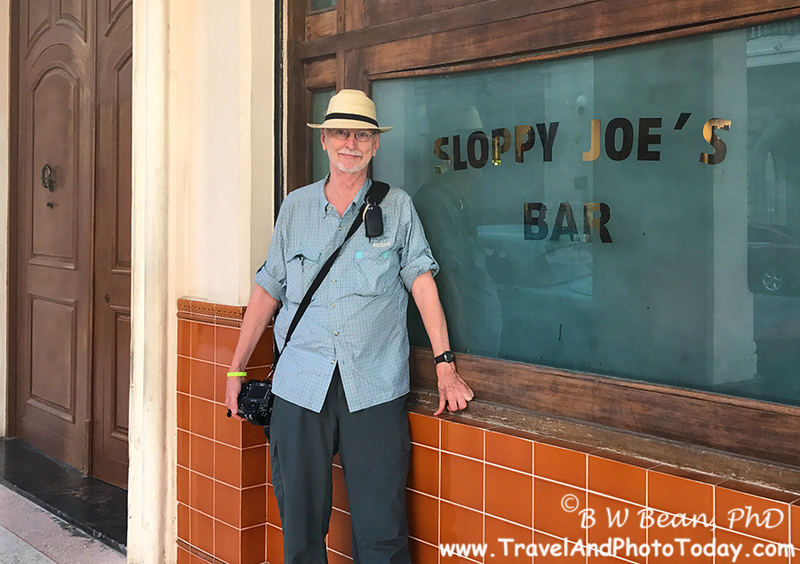 Eat At Sloppy Joe’s ……………..Enjoy The Adventure!